My husband Lulu's has always fond memories of his childhood friend, Scott. He's told me about Scott's mom's delicious matzo ball soup. Back then in the days, Lulu wasn't a vegetarian but now he asked me to come up with a vegetarian version. I attempted it today for the first time and I'm very happy with how it turned out. 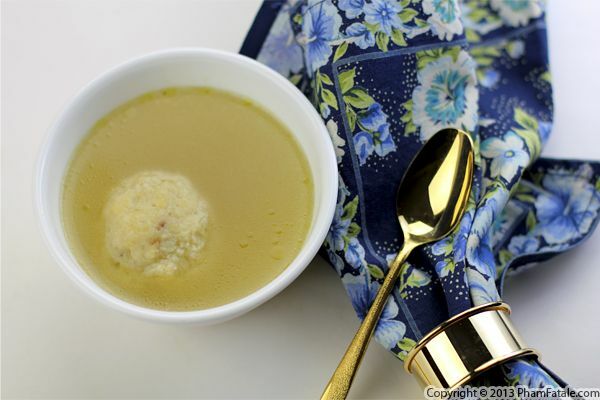 I kept the dish fairly simple; I made a vegetable broth and boiled the matzo balls for 30 minutes in salt water. Way back when I was a kid in France, I remember my friend Emma's grandmother would say her secret for making the matzo balls extra fluffy was to store them. I use a similar trick in my madeleine recipe and it's worked well in both cases. This week marks the beginning of the Tết celebrations. 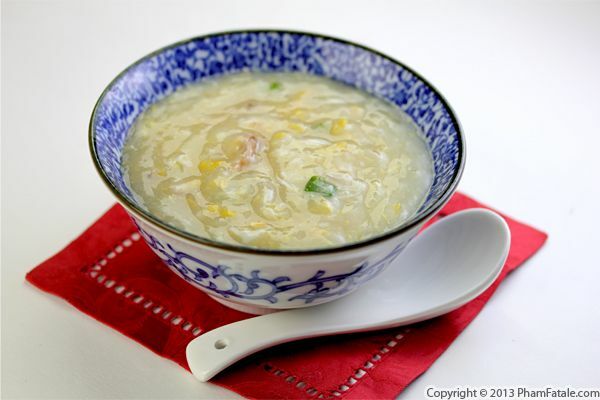 A tradition of Tết is that you eat vegetarian (ăn chay) on the last day of the previous year and first day of Asian New Year, so I decided this week I will be sharing several vegetarian Vietnamese dishes with you until the celebration commences this weekend. I haven't made wonton soup (canh hoành thánh in Vietnamese) in a while, which is a shame because it's not all that complicated. 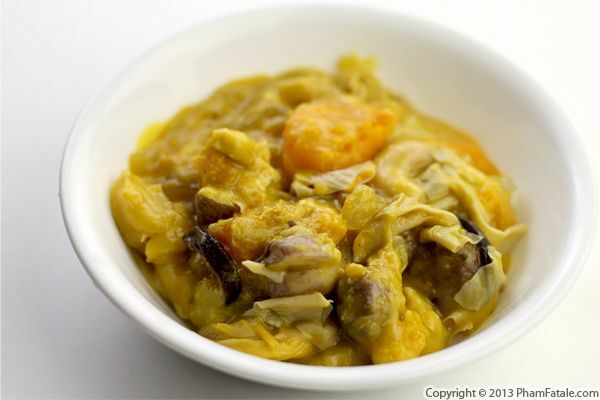 The filling consists of carrots, tofu, chestnuts, green onions, wood ear mushrooms and shiitake mushrooms. 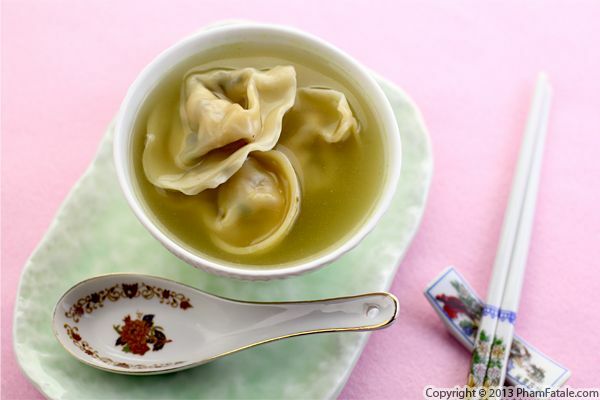 I also made a simple broth to let the flavorful vegetarian dumplings be the shining stars. After my husband Lulu got sick (a nasty cold, then bronchitis), I got sick too. Now both of us are well again, but the rest of the family, not so much. They all spent the weekend in bed with watery eyes and a tissue box by their side. It was not a happy sight. I find a nice hot bowl of soup to be one of the few comforts when I’m not feeling well, so I made a big pot with with Japanese white sweet potatoes, Brussels sprouts and leftover chicken and flavored it with ginger, onions and turmeric. 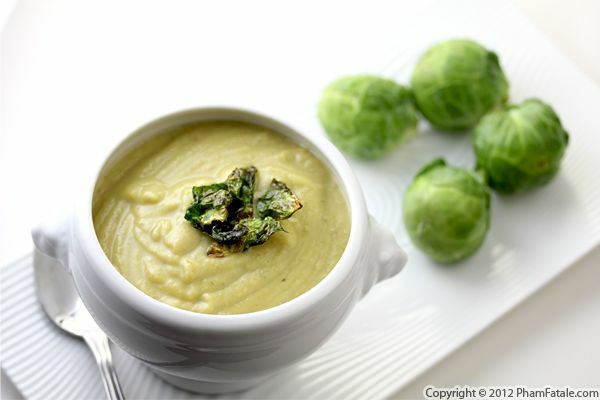 It got me thinking that this soup would be perfect as a starter on Thanksgiving, or the day after using Thanksgiving leftover yams, Brussels sprouts and turkey. Enjoy! Page 13 of 18 pages.